Without taking due care, a laser can be adangerous instrument. Even the word LASER spells out a warning – Light Amplification by Stimulated Emission of Radiation. In other words, safety is an issue. Where concentrated light is concerned, the eyes are the most vulnerable organs of the body. That’s why there are strict European standards covering laser safety eyewear. These standards begin with the lasers themselves which are categorised through EN60825-1 into hazard classes, depending on the Accessible Emission Limits (AELs). AELs are defined as the exposure levels which are inherently safe for the eye. Laser safety glasses come in two forms and have their own specific standards. EN 207 covers the safety needs of the laser operator. EN 208 refers to glasses for laser alignment. EN 207 regulations relate to optical density (OD) and to stability to laser radiation. Both filter and frame must be able to withstand a direct hit from the laser they are specified for. They must provide protection from such a hit for at least 5 seconds or 50 pulses. EN 208 glasses allow the user to see the beam spot while aligning the laser. These alignment glasses must be able to withstand a direct hit and limit the laser power to that of a class 2 laser i.e. eye safe by aversion responses including the blink reflex. 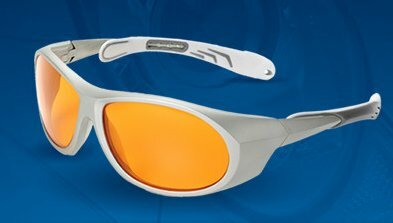 If you are not 100% sure of the safety eyewear you require for protection with your specific laser equipment, contact TLM Laser at sales@TLM-laser.com We are the UK’s sole distributor of Univet - one of the world’s leading manufacturers of laser frames, filters and windows as well as IPL eyewear and patient care protection products. As such, we will be able to tell you (in the vast majority of cases), exactly what permutation of frame and filter you require for your specific laser within one working day.